In Assam, India, Safiya Khatun spent two years in detention for the crime of being … a citizen? 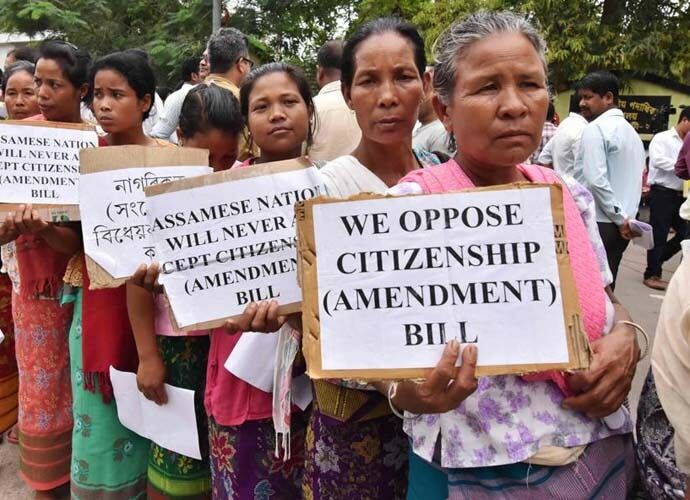 In July, the Indian state of Assam dropped four million people from its registers, identifying them as “foreigners.” Women comprise the overwhelming majority of the four million. Call it witch hunt? Call it femicide? Yes to both. Call it as well part of an ongoing nationalist campaign against the “foreigners in our midst”, a campaign that targets poor women. One such woman, Safiya Khatun, spent the last two years in the “Kokrajhar detention camp”, a jail designed to hold women “foreigners” in the Kokrajhar district of Assam. Assam boasts six detention camps. The detention camps were established in 2010, “to shelter women declared foreigners.” If this is shelter, give us the storm, please. What is Safiya Khatun’s crime? A “mismatch” appeared with her father’s name on different voters’ lists. That misspelling brought Safiya Khatun before a “Foreigner’s Tribunal”, or FT, where she was found to be foreign. Assam has 100 FTs, and, by all appearances, they are models of poor process. Safiya Khatun’s FT hearing occurred in October 2016. She’s been “sheltered” by the State since. The real crime is revealed in the language, where prison becomes camp becomes shelter; where foreigner becomes infiltrator; where omission and misspelling become crimes. Safiya Khatun spent two years in the Kokrajhar detention camp, the same prison where, in August, more than 150 women prisoners went on indefinite hunger strike to protest the inhumane conditions. Kokrajhar detention camp houses elder women, many of whom have stories identical with that of Safiya Khatun, and young pregnant women. In most cases, the women’s extended families are all Indian citizens, but the women somehow are dangerously foreign non-citizens, and so packed off to prison … for shelter. What is going on in Assam is a campaign, a war, against women, and Assam is a testing ground, and not only for India. Around the world, in so-called liberal democracies, citizenship is under assault, and the first line of that assault is women. Women are identified as dangerously foreign non-citizens, despite layers of evidence testifying to their citizenship. Citizenship is the criterion for the new global witch hunt, from the United States to the United Kingdom to Australia and beyond. Meanwhile, two months ago, 19-year-old Somiron Nessa, of Goroimari, in Assam, was informed, out of the blue, that she is a “foreigner”. The struggle continues.